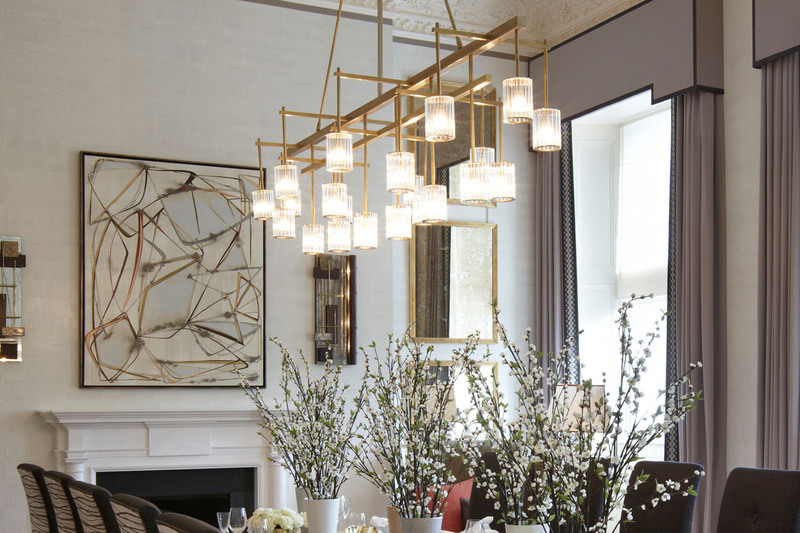 Designed for Helen Green Design, this rectangular chandelier sits majestically above a 4m dining table. The chandelier combines a brushed-brass finish with the prismatic qualities of the glass diffusers. MaterialsBrass-plated steel and borosilicate glass.